Cheteshwar Pujara has been in prime form in the ongoing Test series against Australia but there has been no conscious effort to silence critics who have panned him for his underwhelming performance in 2014. India vs Australia 3rd Test Melbourne: Cheteshwar Pujara has been in prime form in the ongoing Test series against Australia but there has been no conscious effort to silence critics who have panned him for his underwhelming performance in 2014. “When I play international cricket, I don’t need to silence anyone. I just need to keep scoring runs and that is what I love to do. I don’t want to get into all such things. My job is to score runs and I will keep scoring runs, whether it is home or away,” Pujara said after scoring his 17th Test hundred. However, he accepted that once a player starts winning games for his country, even the critics can be kept at bay. “Sometimes you do get criticized and you just have to accept it. But if you keep scoring runs and if India keeps winning, ultimately everybody is happy,” Pujara said. 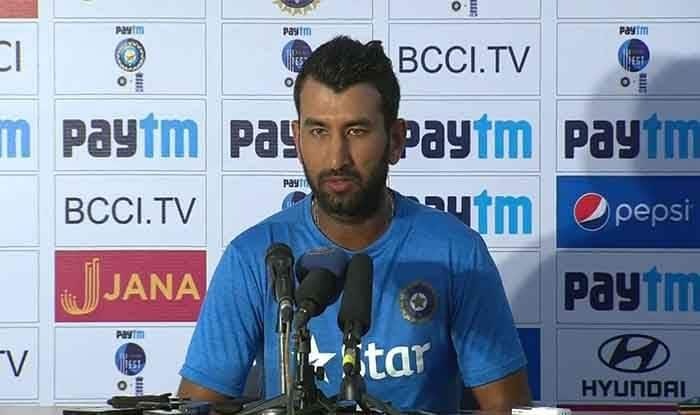 Pujara said that he had learned from his mistakes from 2014 where he got only one half-century in Brisbane. “When you play international cricket, experience makes a lot of difference. 2014 was my first tour to Australia. I had started off well. It was at Brisbane where I got a half-century. Overall I was batting well. I was getting out in the 30s and 40s. It wasn’t as if I was unable to play here. “But it wasn’t a tour where I scored many runs. I learned from my mistakes. After playing those matches, I knew what to expect here. That tour has helped me score hundreds this time,” he said. With two hundreds and a half-century, Pujara is currently leading the batting charts with 328 runs from five innings. “It has been a good tour personally but the biggest thing is that this Test match is very important for us the way this series is pegged at 1-1. Everyone knows that the result of this Test is very important but at the same time we will focus on our game plan. My batting (form) has been good but it is also important to get 20 wickets,” he added. However, Pujara termed Melbourne hundred as an “important knock” while rating the Adelaide ton as a “special knock” since it came in a winning cause. “It is always good to score runs away from home. With the way this series is placed, I think this is an important knock. At the start of the series, the first hundred was really special because it helped us win the match. I hope the number of runs we have we will be able to win this one as well. When you score a hundred in a winning cause, it makes the hundred really special,” he added.